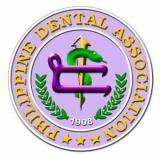 To respect my profession, my reputation and myself, to be honest and fair with patients as I expect my patients to be honest and fair with me, to think of dentistry with loyalty, speak of it with the praise and act always as a custodian of its good name. To be a an whose word carries weight with my fellow citizens, to be a booster, not a knocker, pusher not a kicker, motor not a clog. To base my expectation of reward on a solid foundation of service rendered, to be willing to pay the price in honest efforts. To look upon my work as an opportunity to be seized with joy and make the most of it and not as painful drudgery to be reluctantly endured. To remember all the success lies within myself, in my own reign, my own ambition, my own courage and determination. To expect difficulties and force my way through them, to convert hard experience into capital or future struggles. To believe in my proposition with heart and soul, to carry an air of optimism into the presence of possible patients, dispell ill temper with cheerfulness, kill doubts with full convictions, and reduce active friction with an agreeable personality. To make a study of the professional and business sides in every detail from the ground up, to mix brains with my efforts, and use system and method in my work, to find time to do everything needful by never letting time find me doing nothing. To make every hour bring me dividends in fees, increased knowledge, and healthful recreation. To save money as well as earn I, to cut out expensive amusements until I can afford them. Finally to take a good trip on the joy of life, to play the game like a gentleman, to fight against nothing so hard as my own weakness, and to endeavor to grow as a dentist and as aman with passage of time.